How far has Botox progressed? Home » Botox » Botox Toronto – How Far Has It Progressed? Botox Toronto – How Far Has It Progressed? Botox has been the number 1 treatment to turn back the clock on frowns and wrinkles. Botox works by temporarily immobilizing muscle activity. It does this by blocking nerve-muscle communication, which makes the injected muscles unable to contract. Paralyzing muscle activity is how Botox can steady a straying gaze, eliminate an eyelid spasm or stop signaling nerves that stimulate sweat in a person’s armpit. Allergan’s history dates back to 1991 when Allergan bought Occulinum; which was then a treatment for patients with wandering or cross eyes, and named it Botox. 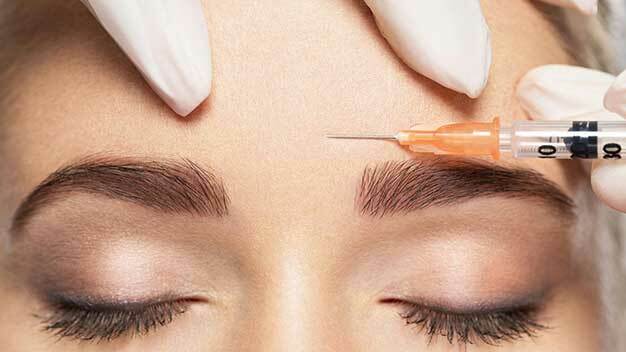 In 2002 Botox earned FDA approval for frown lines (vertical wrinkles between the eyebrows). This was the first time a pharmaceutical drug was given approval for strictly cosmetic purposes. In 2004 Botox was approved for axillary hyperhidrosis (chronic sweating). Allergan then got its next approval for chronic migraines in 2010, and in 2013 Botox received FDA approval for crow’s feet. With each passing year, researchers develop more indications of this versatile agent, and continue to find more uses for it. For more information on Botox Injections in Toronto or to book your consultation to see what Botox can do for you visit Lasting Looks Clinic.